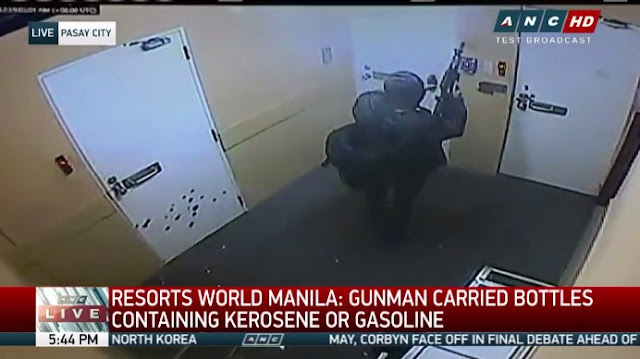 Carlos, dressed in black and armed with an M14 assault rifle, had walked casually into Resorts World a few minutes past 12 a.m. Friday. Clips from the casino CCTV, which police and officials at Resorts World released on Saturday, showed Carlos firing shots at the ceiling and setting gaming tables and slot machines ablaze. Panicked customers and employees of the posh casino complex meanwhile fled the scene. Amid the rush for the exit from the burning entertainment center, 37 people died after suffocating from the smoke caused by the fires.